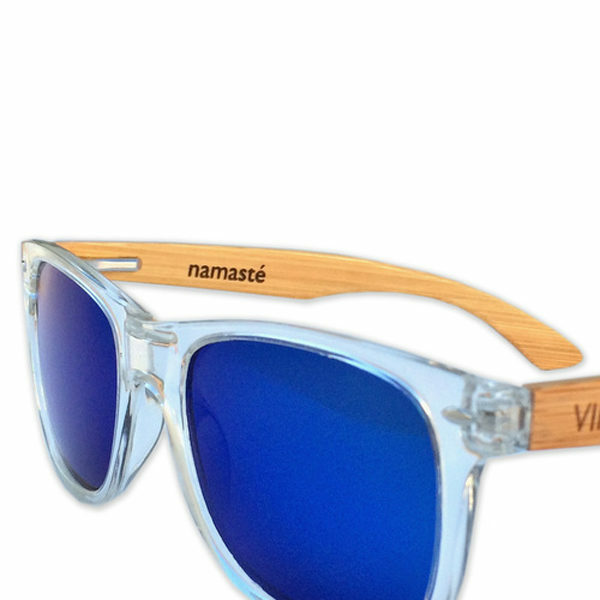 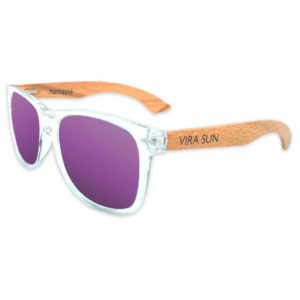 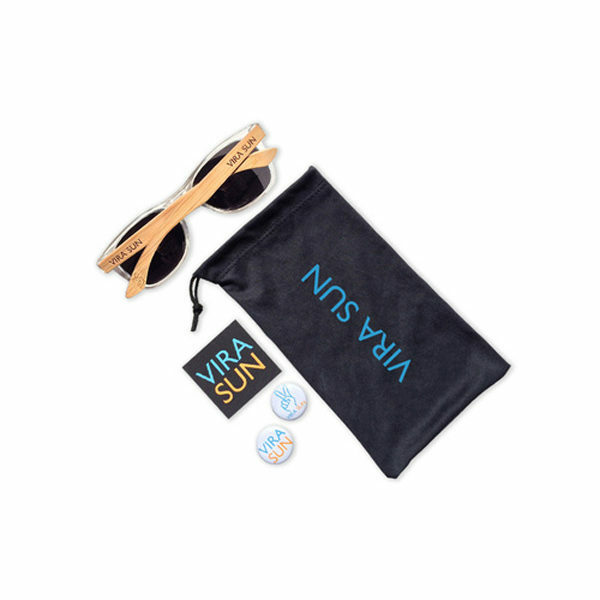 Face the waves of life with an open heart in these signature Warrior Vira Sun sunglasses with blue mirror shades and clear/bamboo frames exclusively at the Liquid Bliss online Shop. 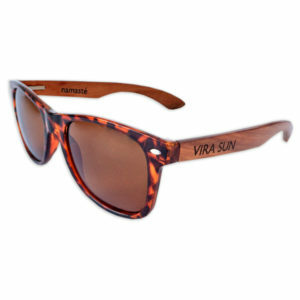 Face forward to meet the waves and life with an open heart. 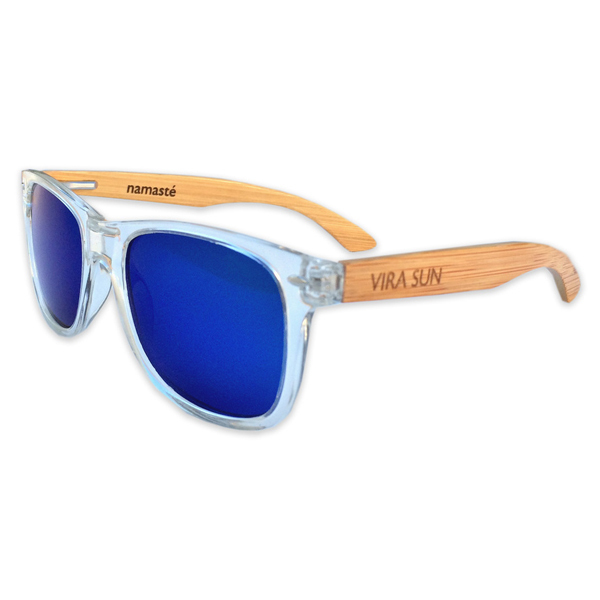 Show the world your confidence and strength in these signature Warrior Vira Sun frames with blue mirror style shades exclusively at the Liquid Bliss online Shop. 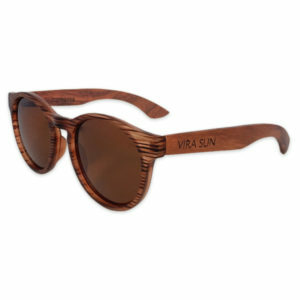 Note: Since bamboo is a natural substance, arm color may vary slightly from the product photos here.